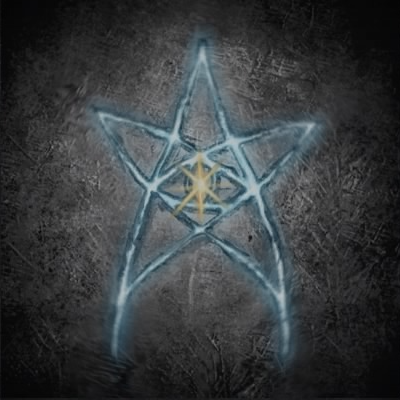 A secret symbol left by Caryll, runesmith of Byrgenwerth. A transcription of "Eye," as spoken by left-behind Great Ones. Allows one to make additional discoveries. Eyes symbolize the truth Master Willem sought in his research. to beings from higher planes for guidance, and sought to line his brain with eyes in order to elevate his thoughts. Eye is a Caryll Rune in Bloodborne. Make additional discoveries. Boost Discovery stat. (+50) is obtained in Nightmare of Mensis. Spawn at the first lamp and go directly northeast past the yetis and you will find it on a corpse next to the Mergo's Loft: Base Lamp. You can also spawn at the Mergo's Loft: Base Lamp if you have it unlocked and run back towards the yetis and pick it up. (+70) is dropped by Ritual Master Willem in Byrgenwerth if killed at any point in the game. (+100) Can be acquired from a Pthumerian Labyrinth, from a chest in the Pre-Layer 1, Side Dungeon Area. Path: After the first Lamp, open the door to the Pre-Layer 1 sub-Dungeon area. Through the hallway, down the stairs, past the two enemies, you will enter a circular shaft. Climb the ladder to your left upon entering this pit, and then open the door to your right. You are in a room where boulders barrel down from the right. Connected to that is an upside-down U-shaped hallway with 2 enemies around the corner and a third waiting to aroudn the 2nd Right turn. Make your way through this Upside-down U-shaped hallway, killing/avoiding them as necessary, while avoiding the bulder's path both times you cross its path. On crossing the boulder's path the second time, further to the right ( now your left ) from your entrance, you will enter a bridge area with swinging axes and a single enemy. It throws daggers if you stand idle, and wields a pathetic-looking spear. Sprint at the axes when they are closed, and dodge forward if need be to avoid them. Kill the enemies expediently to enter the next room which is a Treasure room. There is a single brainsucker in here, and no other enemies. Kill it to claim the (+100) eye rune from the chest. There are two more chests on your left, and one more on your right. Don't forget to claim them on your way out. "Early Tier 3 Eye Rune (Only Pthumeru Root Chalice Needed) - Bloodborne"
To memorize this rune, you must have the Rune Workshop Tool. Apart from a higher chance of getting rare items, the Eye rune can also be used for more trivial farming, like for Blood Vials. Many mobs will drop more of their standard items, and a clean sweep of Central Yharnam can yield 50+ vials with high discovery. Appearance is similar to a variation the Elder Sign from the Cthulhu Mythos. The p2tbyrh2 glyph has a Great Lake 5% all damage reduction rune on layer 2 as well. The p2tbyrh2 glyph also has pick axe miners at the start of layer 2 that drop Tomb Mold (5) reliably. This same glyph has a lost kirkhammer, a lost threaded cane, and so much ritual blood (5), I&apos;m gaining insight RIGHT NOW. Conductor of chalice fqtssuyg here. To correct my previous comment: the +100 Eye rune is indeed there and in Layer 2, but in a side area within the main Layer 2 area itself. Enter main area, climb the ladder on your right; you&apos;ll find yourself in a room with a witch and some enemies. Rush through it to the end and enter the door on its right side, then drop down the small ladder. You&apos;ll find yourself in a big area with a ladder, which is incidentally the same room where the illusory wall I mentioned can be found, too. For the rune, rush to the opposite end and find the only aperture in the wall. You&apos;ll see a big set of stairs. Climb it, and you&apos;ll find a bridge with swinging blades - the one I mentioned in previous comment. Eye rune is in the room after the swinging blades, guarded by a Brainsucker. I apologize for my mistake. Dungeon will stay open. I created my first ever Root Isz so I could join glyphs. Bafflingly found a +100 Eye rune in the pre-lamp bonus area of Layer 2, in a well-guarded room on the other end of the bridge you immediately find yourself on, right after a trap with a pressure plate. Furthermore: the vast main area of Layer 2, reached from a door just on the right side of the lever, also contains an illusory wall. It is exactly opposite to another tunnel, the one leading up to the swinging blades. Said wall leads to the bridge you can clearly see in the pre-lamp corridor of Layer 2, just above your head. Features a hidden room with Ritual Blood (5) and two Scurrying Beasts which drop gems. the dungeon works for the +100. it&apos;s in a "treasure room" before the actual dungeon. It&apos;s sweet because you don&apos;t actually have to go further than the first lamp to get it. Does this stack if I choose 3 "Eye" runes? I&apos;m a little bit confused.. Does this just boost the possibility of me getting an Item from an enemy in general or does it boost the possibility of getting a rare item too? For example, if I use the Runes do I have a higher Chance of getting a Bloodstone Chunk from the Wolf Beasts in the Upper Cathedral Ward? What&apos;s the point of the value? Does it mean +50/70/100%? I still don&apos;t get it. so if you wanna get the eye rune you have to get the cursed version of the chalice dungeon not the rotted one. whoever made this wiki is a dumbass. you&apos;ll need 3 bastards of Loran to do this,, they can be Vaught at hunters dream for 7 insight a piece. then you can get the eye rune. I went to the one in mergos base and all i found is a madmans knowledge. Im on ng+ and the only 1 i have is master willems rune. I need to stack them for farming, so can some1 help? To use the glyph, do you need to apply any other effects aside from rotted? Also, does anyone know if the sinister chalice will work just as easily? I&apos;m asking because I really don&apos;t want to have to farm materials for a third time. does this Rune improve drops or just make the more likely? So, i don&apos;t have PlayStation Plus, and i can&apos;t interact with glyphs, can the Eye Rune still be obtainable offline? Is it absolutely necessary to make an offering to get the Eye Rune to show up in a treasure chest? Because I&apos;ve been going through Isz Root dungeons for weeks now, and that ***** place absolutely refuses to cough up that ***** rune. And I mean literally dozens of times! It wasn&apos;t until I tried the Sinister Isz Root dungeons that it finally gave me the Lost Threaded Cane, after weeks and weeks of dungeon crawling. But it has so adamantly refused to give me that Eye Rune, I&apos;m almost convinced the game is glitched and mistakenly thinks I already have it. I&apos;ve managed to get every other Uncanny and Lost weapon and all the other runes from all the other dungeons, and I&apos;ve gone through various Isz root dungeons at LEAST a hundred times. But still, no Eye Rune. Plus I&apos;m not paying for online stuff, so I can&apos;t use glyphs. When I type in that glyph code it simply says that I don&apos;t meet the requirements for this dungeon despite the fact that I&apos;ve made an Isz root dungeon before. Anyone know why this is happening?